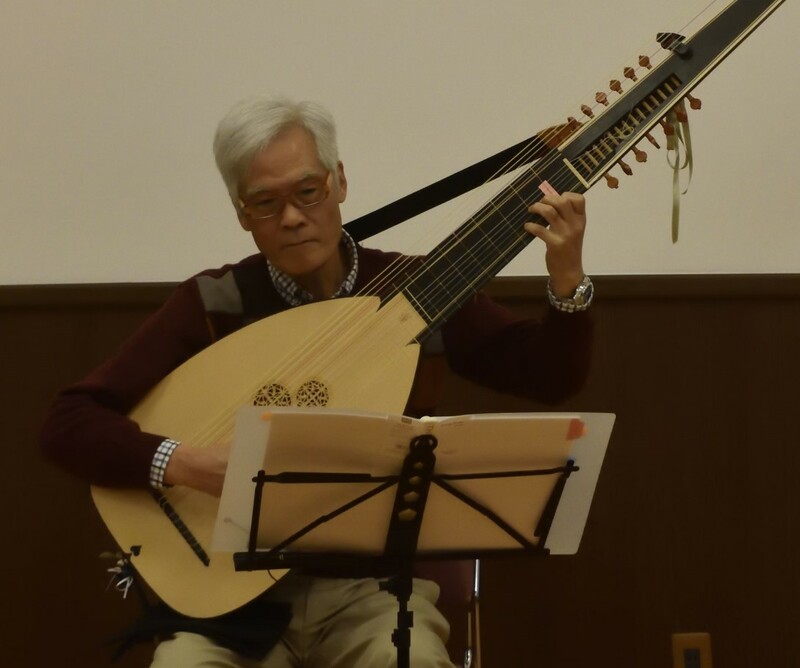 リュートわーるど -Lute World-: Cambridge Digital Library. MS Add.2764(2) MS Add.2764(2) (MS Add.2764(2) Page: cover), Add.2764(2) is a collection of fragments of pages from a single lute manuscript that was cut up and half pages were reused in the seventeenth century as strengthening material in the bindings of other books now in Cambridge University Library. MS Add.3056 Cosens lute book (MS Add.3056 Page: cover), The lute book Add.3056 lacks a title page bearing an owner's name and so it is now called the Cosens lute book after its nineteenth-century owner Frederick W. Cosens. MS Add.8844 Trumbull lute book (MS Add.8844 Page: cover), The Trumbull lute book (MS Additional 8844) is a rare example of a personal lute book made and used by an English government official and diplomat. Apart from one item at the end, it was almost certainly copied c.1595 by William Trumbull (1575?-1635), secretary and later envoy to James I and then Charles I at the Brussels Court of Archduke Albert of Austria from at least 1605 to 1625. MS Dd.2.11 Mathew Holmes lute books (MS Dd.2.11 Page: i_R), Dd.2.11 is the first and largest of the four Mathew Holmes lute books, copied probably 1588-1595. Nine music manuscripts in Cambridge University Library were shown by Ian Harwood in the 1960s to have been copied by Holmes who was Precentor and Singingman of Christ Church in Oxford from 1588 and then in Westminster Abbey in London from 1597 until his death in 1621. MS Dd.4.22 MS Dd.4.22 (MS Dd.4.22 Page: 1r), Dd.4.22 is a manuscript of modest size with just 25 items in lute tablature copied c.1615 onto 24 pages in a single hand (plus two more items in mensural notation for keyboard copied inverted at the other end). MS Dd.5.78.3 Mathew Holmes lute books (MS Dd.5.78.3 Page: 1r), Dd.5.78.3 is the second of the four Mathew Holmes lute books, copied probably 1595-1600. Nine music manuscripts in Cambridge University Library were shown by Ian Harwood in the 1960s to have been copied by Holmes who was Precentor and Singingman of Christ Church in Oxford from 1588 and then in Westminster Abbey in London from 1597 until his death in 1621. MS Dd.9.33 Mathew Holmes lute books (MS Dd.9.33 Page: 1r), Dd.9.33 is third of the four Mathew Holmes lute books, copied probably 1600-1605. Nine music manuscripts in Cambridge University Library were shown by Ian Harwood in the 1960s to have been copied by Holmes who was Precentor and Singing man of Christ Church in Oxford from 1588 and then in Westminster Abbey in London from 1597 until his death in 1621. MS Nn.6.36 Mathew Holmes lute books (MS Nn.6.36 Page: cover), Nn.6.36 is the fourth and last of the Mathew Holmes lute books, copied probably 1605-1615. Nine music manuscripts in Cambridge University Library were shown by Ian Harwood in the 1960s to have been copied by Holmes who was Precentor and Singing man of Christ Church in Oxford from 1588 and then in Westminster Abbey in London from 1597 until his death in 1621.